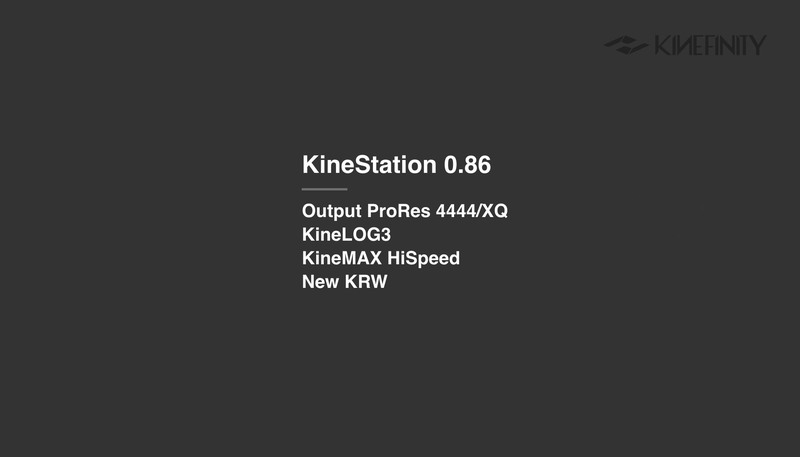 The upgrade of KineStation from v0.7 to v0.8 is a major update: support KRW2.0, output ProRes from 422 to 4444XQ, support KineMAX HiSpeed, and more. Support New KineLOG3：Improved KineLOG, turns into more smooth highlight and easier to be graded. Only output ProRes with KineLOG, not burned with on-site LUT. 2K Wide up to 225fps @S16 framing. Stability of this version: Evaluation. Note: work with KineOS4.0. 9. Do you have some filming with Kine cameras to share with us? Please tell us the video link if you want. This entry was posted in Downloads, Firmware and tagged Firmware, KineMAX, KineMINI, KineStation, Software.